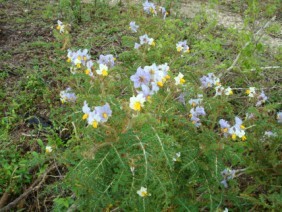 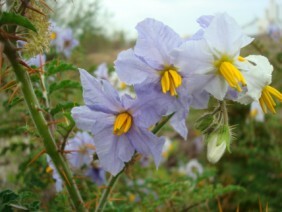 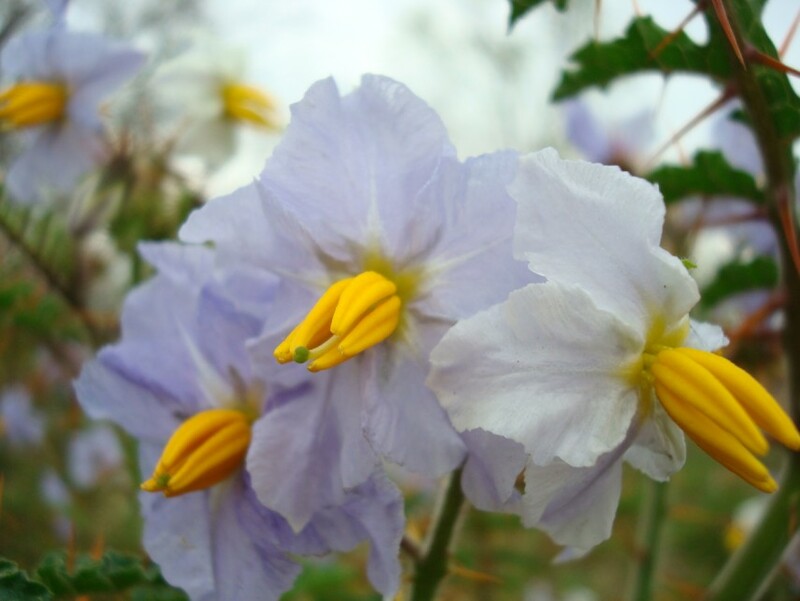 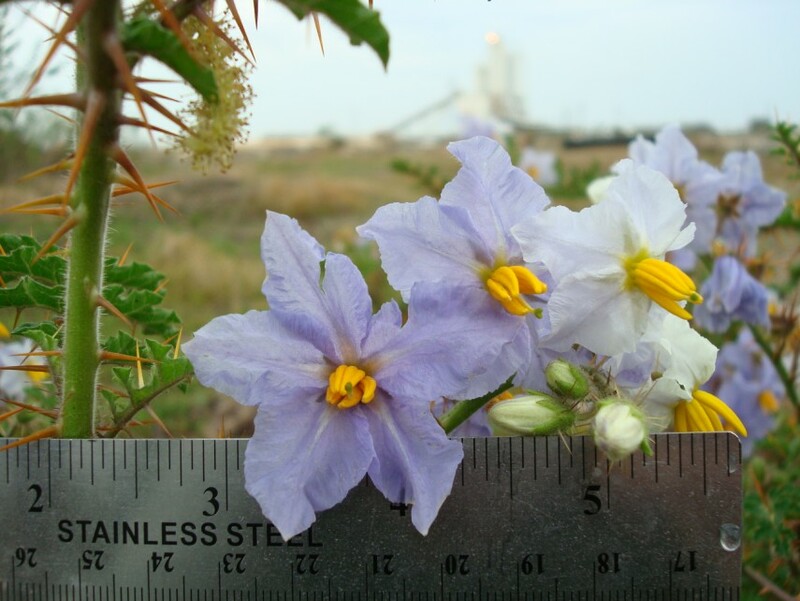 Sticky Nightshade is common in the Mobile area, particularly around industrial and agricultural operations. 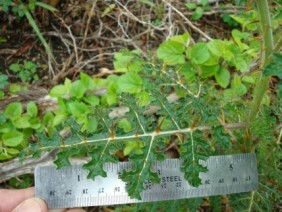 Note that the stems and even the leaves are armed with substantial thorns. 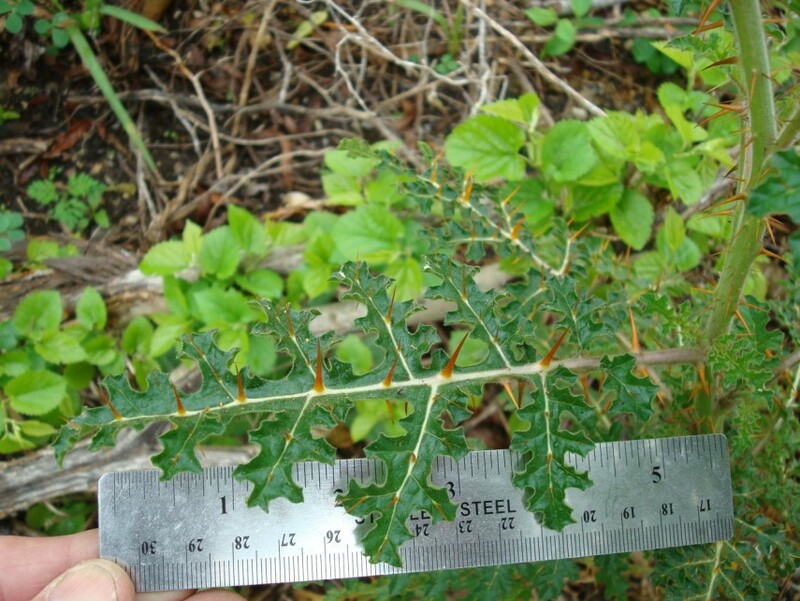 All parts of the plant are poisonous, which, considering the formidable array of thorns, seems rather superfluous. 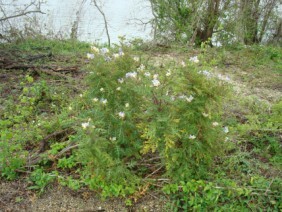 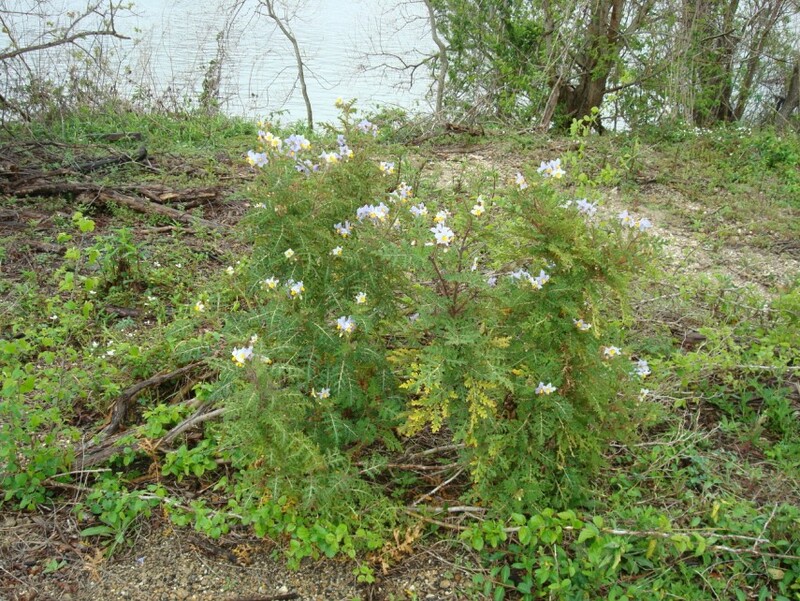 This plant was photographed off Telegraph Road in North Mobile in March.